SAN YSIDRO, Calif. (KGTV) – United States Custom Border and Protection officers arrested Cristian Araujo Aguirre at the San Ysidro Port of Entry Wednesday after noticing irregularities in his vehicle. On Tuesday Aguirre was charged with importing 11,490 fentanyl pills, 61 pounds of methamphetamine and 14 pounds of heroin. 2 bags and one box of pills (totaling 11,490 pills) in the left rear quarter panel of the vehicle. The pills tested positive for fentanyl but were designed to resemble M30s, or oxycodone. 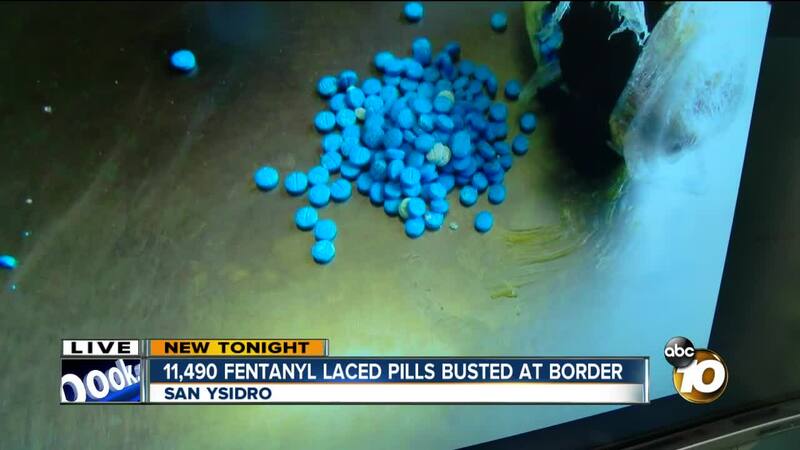 The U.S. Attorney believes this to be largest port seizure of fentanyl pills across the Southwest Border of the U.S. According to court records, Aguirre was the driver and sole occupant of the vehicle. The 19-year-old is a U.S. citizen living in Tijuana. His detention hearing is scheduled for August 7. His preliminary hearing is scheduled for August 16. If convicted, Aguirre faces a minimum of 10 years to life and a $1,000,000 fine.